Gaston, K.J. (2019) Nighttime ecology: the “nocturnal problem” revisited. American Naturalist 193, 481-502. The existence of a synthetic program of research on what was then termed the “nocturnal problem” and that we might now call “nighttime ecology” was declared more than 70 years ago. In reality, this failed to materialize, arguably as a consequence of practical challenges in studying organisms at night and instead concentrating on the existence of circadian rhythms, the mechanisms that give rise to them, and their consequences. 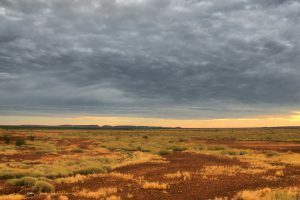 This legacy is evident to this day, with consideration of the ecology of the nighttime markedly underrepresented in ecological research and literature. However, several factors suggest that it would be timely to revive the vision of a comprehensive research program in nighttime ecology. These include (i) that the study of the ecology of the night is being revolutionized by new and improved technologies; (ii) suggestions that, far from being a minor component of biodiversity, a high proportion of animal species are active at night; (iii) that fundamental questions about differences and connections between the ecology of the daytime and the nighttime remain largely unanswered; and (iv) that the nighttime environment is coming under severe anthropogenic pressure. In this article, I seek to reestablish nighttime ecology as a synthetic program of research, highlighting key focal topics and questions and providing an overview of the current state of understanding and developments. Sánchez de Miguel, A., Kyba, C.C.M., Aube, M., Zamorano, J., Cardiel, N., Tapia, C., Bennie, J. & Gaston, K.J. 2019. 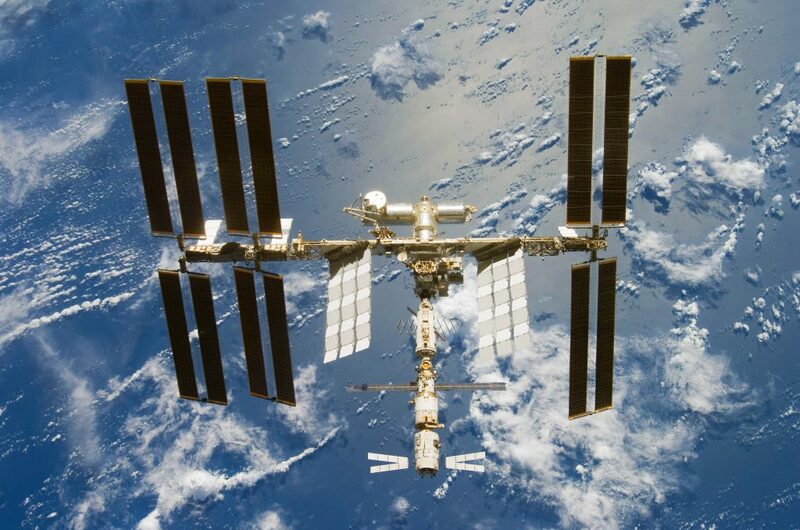 Colour remote sensing of the impact of artificial light at night (I): the potential of the International Space Station and other DSLR-based platforms. Remote Sensing of Environment, online early. 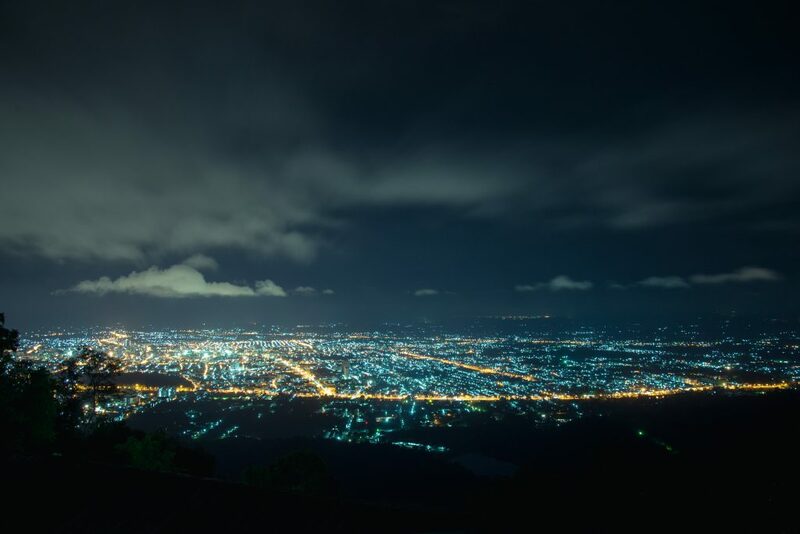 Sensors on remote sensing satellites have provided useful tools for evaluation of the environmental impacts of nighttime artificial light pollution. However, due to their panchromatic nature, the data available from these sensors (VIIRS/DNB and DMSP/OLS) has a limited capacity accurately to assess this impact. Moreover, in some cases, recorded variations can be misleading. 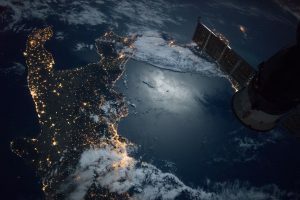 Until new satellite platforms and sensors are available, only nighttime images taken with DSLR cameras from the International Space Station (ISS), airplanes, balloons or other such platforms can provide the required information. Here we describe a theoretical approach using colour-colour diagrams to analyse images taken by astronauts on the ISS to estimate spatial and temporal variation in the spectrum of artificial lighting emissions. We then evaluate how this information can be used to determine effects on some key environmental indices: photopic vision, the Melatonin Suppression Index, the Star Light Index, the Induced Photosynthesis Index, production of NO2 -NO radicals, energy efficiency and CO2 emissions, and Correlated Colour Temperature. Finally, we use the city of Milan as a worked example of the approach. Garrett, J.K., Donald, P.F. & Gaston, K.J. 2019. Skyglow extends into world’s Key Biodiversity Areas. Animal Conservation, online early. The proportion of the Earth’s surface that experiences a naturally dark environment at night is rapidly declining with the introduction of artiﬁcial light. Biological impacts of this change have been documented from genes to ecosystems, and for a wide diversity of environments and organisms. The likely severity of these impacts depends heavily on the relationship between the distribution of artiﬁcial night-time lighting and biodiversity. Here, we carry out a global assessment of the overlap between areas of conservation priority and the most recent atlas of artiﬁcial skyglow. We show that of the world’s Key Biodiversity Areas (KBAs), less than a third have completely pristine night-time skies, about a half lie entirely under artiﬁcially bright skies and only about a ﬁfth contain no area in which night-time skies are not polluted to the zenith. The extent of light pollution of KBAs varies by region, affecting the greatest proportion of KBAs in Europe and the Middle East. 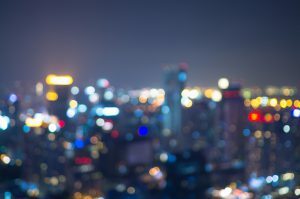 Statistical modelling revealed associations between light pollution within KBAs and associated levels of both gross domestic product and human population density. This suggests that these patterns will worsen with continued economic development and growth in the human population. Cox, D.T.C., Bennie, J., Casalegno, S., Hudson, H.L., Anderson, K. & Gaston, K.J. 2019 Skewed contributions of individual trees to indirect nature experiences. Landscape and Urban Planning 185, 28-34. 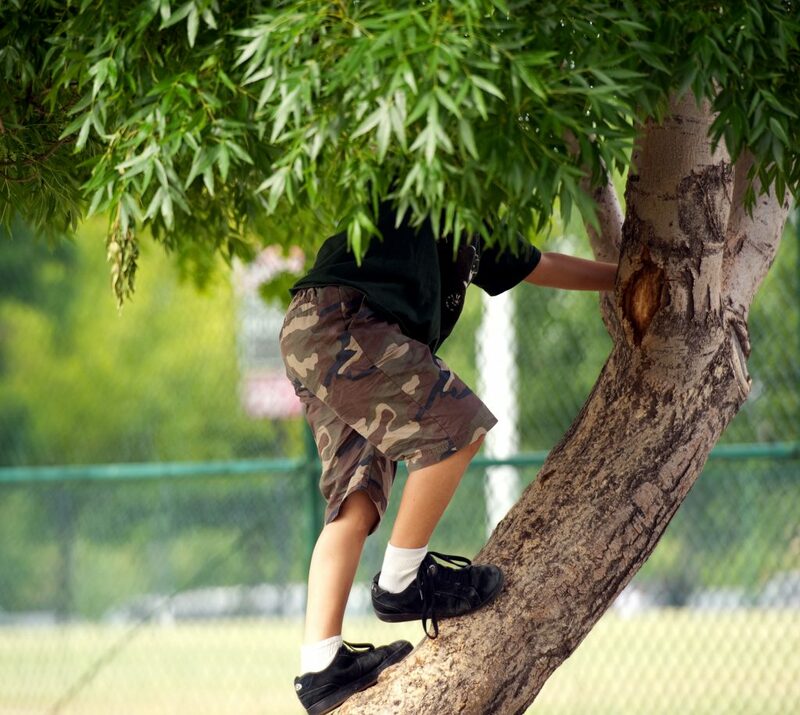 Exposure to nature is associated with a broad range of benefits to human health. Whilst there has been exploration of how these experiences vary amongst people, the converse – how different individual organisms contribute to human nature experiences – has largely been overlooked. The most common way that people experience nature occurs indirectly, when they are in a room with a natural view. Here, we estimate variation in how individual trees provide indirect nature experiences in an urban human population. As a proxy for its contribution towards indirect nature experiences, within an extended urban area in southern England, UK (n=612,920) we calculated the number of buildings with line of sight to each tree. We then modelled each tree’s contribution towards these experiences against potential predictors, namely tree height, land ownership, social deprivation, while controlling for human population density. We demonstrate that a small number of trees contribute disproportionately towards indirect nature experiences, with individual trees in socio-economically deprived high density housing falling within the viewscape of significantly more buildings. Further, trees in private gardens were generally more important for providing indirect nature experiences than those in public green spaces. This novel study demonstrates the skewed contribution of different organisms to human population indirect nature experiences. 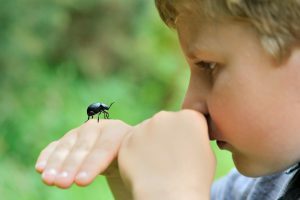 This approach can be applied more broadly to understand how individual organisms provide indirect, incidental and intentional nature experiences. Understanding the ecology behind human nature experiences is an important step towards linking urban design and policy for maximising the health benefits from nature. Gaston, K.J., Aimé, E., Chan, K.M.A., Fish, R., Hails, R.S. & Maller, C. 2018. 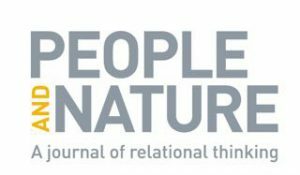 People and Nature– A journal of relational thinking. People and Nature, online early. Sutherland, W.J., Broad, S., Butchart, S.H.M., Clarke, S.J., Collins, A.M., Dicks, L.V., Doran, H., Esmail, N., Fleishman, E., Frost, N., Gaston, K.J., Gibbons, D.W., Hughes, A.C., Jiang, Z., Kelman, R., LeAnstey, B., le Roux, X., Lickorish, F.A., Monk, K.A., Mortimer, D., Pearce-Higgins, J.W., Peck, L.S., Pettorelli, N., Pretty, J., Seymour, C.L., Spalding, M.D., Wentworth, J., & Ockendon, N. 2019. A horizon scan of emerging issues for global conservation in 2019. Trends in Ecology and Evolution, in press. We present the results of our tenth annual horizon scan. We identiﬁed 15 emerging priority topics that may have major positive or negative effects on the future conservation of global biodiversity, but currently have low awareness within the conservation community. We hope to increase research and policy attention on these areas, improving the capacity of the community to mitigate impacts of potentially negative issues, and maximise the beneﬁts of issues that provide opportunities. Topics include advances in crop breeding, which may affect insects and land use; manipulations of natural water ﬂows and weather systems on the Tibetan Plateau; release of carbon and mercury from melting polar ice and thawing permafrost; new funding schemes and regulations; and land-use changes across Indo-Malaysia. Gaston, K.J. 2018. Lighting up the nighttime. Science 362, 744-746. Cox, D.T.C., Shanahan, D.F., Hudson, H.L., Fuller, R.A. & Gaston, K.J. 2018. The impact of urbanisation on nature dose and the implications for human health. Landscape and Urban Planning 179, 72-80. The last 100 years have seen a huge change in the global structure of the human population, with the majority of people now living in urban rather than rural environments. An assumed consequence is that people will have fewer experiences of nature, and this could have important consequences given the myriad health benefits that they can gain from such experiences. 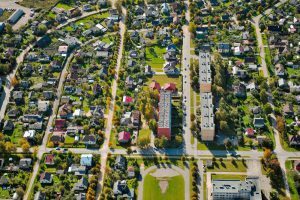 Alternatively, as experiences of nature become rarer, people might be more likely actively to seek them out, mitigating the negative effects of urbanisation. In this study, we used data for 3,000 survey respondents from across the UK, and a nature-dose framework, to determine whether (a) increasing urbanisation is associated with a decrease in the frequency, duration and intensity of nature dose; and (b) differences in nature exposure associated with urbanisation impact on four population health outcomes (depression, self-reported health, social cohesion and physical activity). We found negative exponential relationships between nature dose and the degree of urbanisation. The frequency and duration of dose decreased from rural to suburban environments, followed by little change with further increases in urbanisation. There were weak but positive associations between frequency and duration of dose across all four health domains, while different dimensions of dose showed more positive associations with specific health domains in towns and cities. We show that people in urban areas with a low nature dose tend to have worse health across multiple domains, but have the potential for the greatest gains from spending longer in nature, or living in green areas. Bennie, J., Davies, T.W., Cruse, D., Inger, R. & Gaston, K.J. 2018. Artificial light at night causes top-down and bottom-up trophic effects on invertebrate populations. Journal of Applied Ecology 55, 2698-2706. 1. 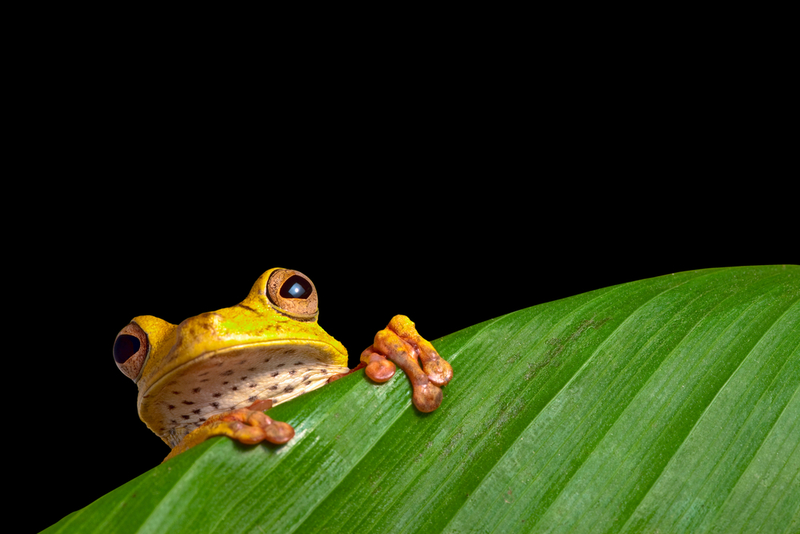 Globally, many ecosystems are exposed to artificial light at night. Nighttime lighting has direct biological impacts on species at all trophic levels. However, the effects of artificial light on biotic interactions remain, for the most part, to be determined. 2. We exposed experimental mesocosms containing combinations of grassland plants and invertebrate herbivores and predators to illumination at night over a three-year period to simulate conditions under different common forms of street lighting. 3. We demonstrate both top-down (predation controlled) and bottom-up (resource controlled) impacts of artificial light at night in grassland communities. The impacts on invertebrate herbivore abundance were wavelength dependent and mediated via other trophic levels. 4. White LED lighting decreased the abundance of a generalist herbivore mollusc by 55% in the presence of a visual predator, but not in its absence, while monochromatic amber light (with a peak wavelength similar to low pressure sodium lighting) decreased abundance of a specialist herbivore aphid (by 17%) by reducing the cover and flower abundance of its main food plant in the system. Artificial white light also significantly increased the food plant’s foliar carbon to nitrogen ratio. 5. We conclude that exposure to artificial light at night can trigger ecological effects spanning trophic levels, and that the nature of such impacts depends on the wavelengths emitted by the lighting technology employed. 6. Policy implications. Our results confirm that artificial light at night, at illuminance levels similar to roadside vegetation, can have population effects mediated by both top-down and bottom-up effects on ecosystems. Given the increasing ubiquity of light pollution at night, these impacts may be widespread in the environment. These results underline the importance of minimising ecosystem disruption by reducing light pollution in natural and semi-natural ecosystems.